The Samsung Galaxy S5 is one of the most powerful Android devices out in the market today. This model uses a quad core Snapdragon 801 processor with a clock speed of 2.5 GHz and has 2 GB of RAM. Yet despite this power, the device will still suffer some issues such as freezes, lags, unresponsiveness, or anything out of the normal during the course of its operation. If you own a Galaxy S5 and are having issues with it then one of the best troubleshooting steps that you can do is to start your device in Safe Mode. You may be wondering what this mode does. 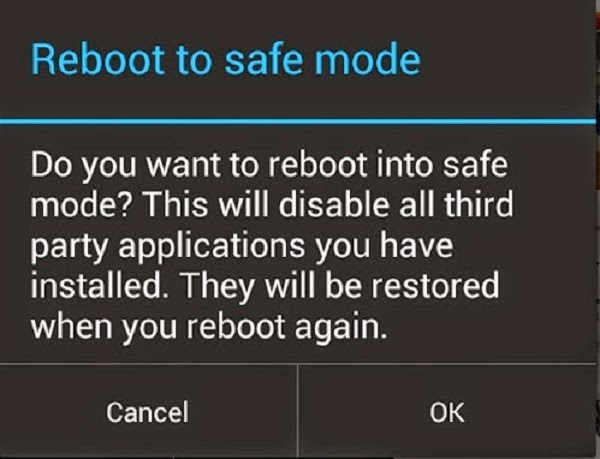 Safe Mode basically starts your device in a diagnostic state by returning your device to its default setting (any third party application that you may have installed from the Google Play Store is disabled). This makes it easier to determine if a certain app is causing the issue. With the device powered off, press and hold the Power button (located on the right edge) until the Samsung Galaxy S5 logo appears then release. With the Samsung Galaxy S5 logo on the screen, press and hold the Volume Down button (located on the left edge). This procedure takes less than a minute. Once your device is in Safe Mode and the issue you are experiencing does not occur then it’s safe to assume that an application is the root cause. Knowing that an app is the cause of the problem is just half of the troubleshooting step. Finding that certain app is the other half. You will have to perform a trial and error method in finding the app. Restart your phone to exit Safe Mode. Once your phone has fully started uninstall one app then check if the issue appears. Repeat this process until the issue disappears.